California’s net neutrality law, SB 822, has completed most of its hard-fought battle down the path to becoming law last week after it passed the California State Senate 27-12. It had passed Assembly the previous day in an overwhelming 61-18 vote. After nine-months of struggle to refine the law and overcome a concerted effort from ISPs such as Verizon and AT&T to undermine the bill, all that remains before the law is passed is for Governor Jerry Brown to sign it. The Governor has until the end of September to do so but has not made any public statement as to what he plans to do. Many of the California lawmakers have publicly urged him to take swift action. The law would replace and supplement the net neutrality protections stripped away by the FCC earlier this year for California citizens. It hasn’t been easy going even getting to this point. There has been a substantial effort from telecom lobbyist and interests to characterize the law as an internet tax—promising raised rates if it passes. This is a surprising stance given that in arguing that the FCC should remove net neutrality protections the telecom argument was often that they wouldn’t break the rules even if the regulations weren’t there. With that in mind, it’s surprising they’d argue that these rules would increase their costs—sometimes saying they’d have to hike rates as much as $30/month. Despite these efforts, net neutrality is an incredibly popular concept and especially in California. This, coupled with Verizon’s bad press after allegedly throttling firefighters’ unlimited data plans during the California wildfires, helped along the passage of SB 822. The law itself has come a long way since we first reported on it in January of this year. It not only provides all of the protections enumerated in the old FCC policy from 2015, it also adds some new protections against more recent practices and—perhaps most importantly—hundreds of pages on how the rules should be implemented and used. 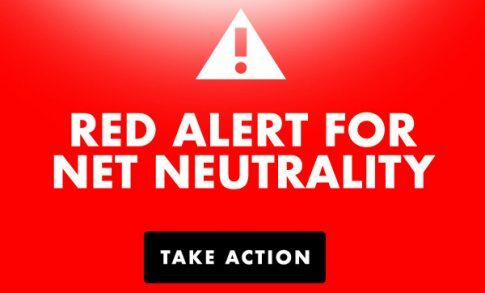 SB 822 provides the previous net neutrality protections of the old FCC rules and then some; banning ISPs from blocking access to legal content, throttling or slowing down the delivery of legal internet traffic, charging fees to app or content providers to reach their end users—a concept commonly known as paid prioritization. The law also bans ISPs from slowing down web traffic with the purpose of extracting payment to connect users. In addition to these more common rules, the law also bans the practice of zero-rating. This is an industry term for what is sort of another face to paid prioritization. Instead of slowing down traffic to either extract payment from a website to speed it up or make their own web products more inviting by comparison, zero rating is when ISPs make it so that their own products (or products that pay them) do not count against user data caps. It does not ban the practice altogether, as some ISPs have claimed, but only when the ISP and not the user is the only one profiting. What Will the FCC Do? What Does the Future Hold? Lawsuits. Lots of Lawsuits. USTelecom, a group to which Verizon and AT&T both belong, have already pledged to aggressively challenge state net neutrality rules in the courts. It can be assumed that the ISPs will follow suit on their own to some degree. It is likely that the primary focus of these lawsuits will be an argument we’ve discussed before, the fact the FCC order repealing the Open Internet Order claimed that it has pre-emption powers over the issue. This essentially means that, in the same order the FCC said they didn’t have the power to regulate the net neutrality issue, they also said that the states can’t make laws on the issue because they are the only group who should regulate net neutrality. Basically, the FCC ruling repealing net neutrality says the FCC rules always overrule state or local laws on the mater. This pre-emption is not without teeth, even if it sounds ridiculous given the timing of when they did it. Federal law generally pre-empts state law. Broadband services are difficult for states to regulate where they cross state lines. Even when state laws deal entirely with in-state behaviors, their implications will affect multiple states and enter the realm of the federal and the FCC. As discussed before, a pre-emption-based challenge to these laws would be a serious battle for the states. However, such a battle would not be unwinnable. California will have to argue that the FCC does not have the power to pre-empt them as they have. This position has some support. Just last year the 6th Circuit ruled that the FCC did not have the power to pre-empt Tennessee and North Carolina laws restricting the expansion of smaller ISPs–instead allowing larger ISPs such as Comcast to maintain their ironclad grip on territory. While this ruling is not necessarily for the best for consumers, it does establish the precedent that the FCC does not have blanket authority to pre-empt the states. There will likely be other states’ rights and 10th Amendment oriented arguments as well for California to bring. However, there will certainly be a fierce legal battle—one that will likely take years and may seriously slow down full enforcement of SB 822. At this point, the biggest question for the future is whether Governor Brown will sign the bill. It seems more likely than not that he will, although his silence on the issue has some concerned. If he does not sign or veto, the bill becomes law after September 30th without his signature. If he chooses to veto, it will mean substantial delays before this bill can become a law—although it may well still have the support to ultimately pass given the breakdown of votes. SB 822 will be a huge step in consumer protections for Californians if signed, just as the net neutrality protections stripped away by Ajit Pai and the current FCC were. They will certainly face an enormous amount of legal challenges, but California is on the verge of taking an important step—a step other states are on the verge of potentially duplicating. Net Neutrality: Is This the End?